*This is a hand-made product and it might take 2 weeks to 2 months to restock it once it is sold out. 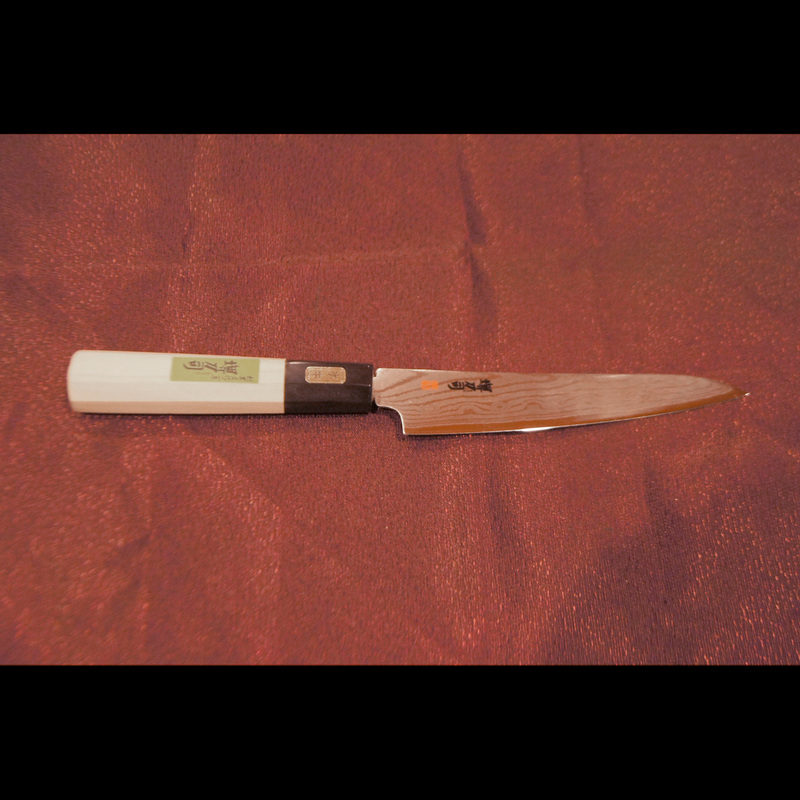 *This cooking knife is hand-made therefore each one has slightly different length. 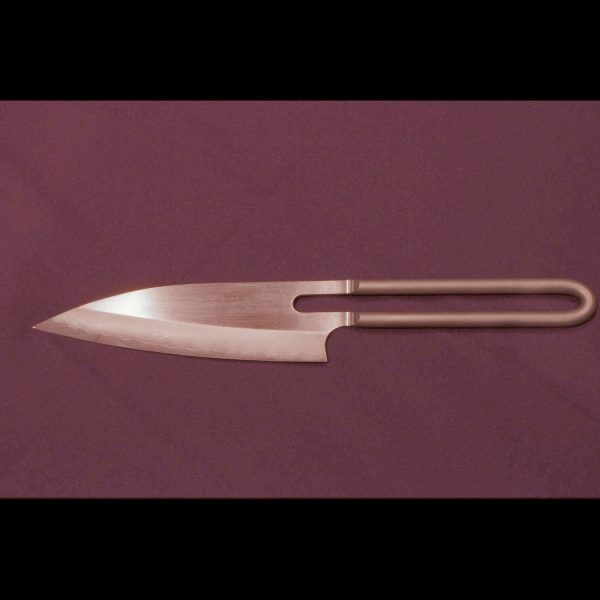 DEBA(出刃) knife is a traditional Japanese knife whose main aim is to cut through fish flesh, its rib bones, and its head, without damaging the fish. 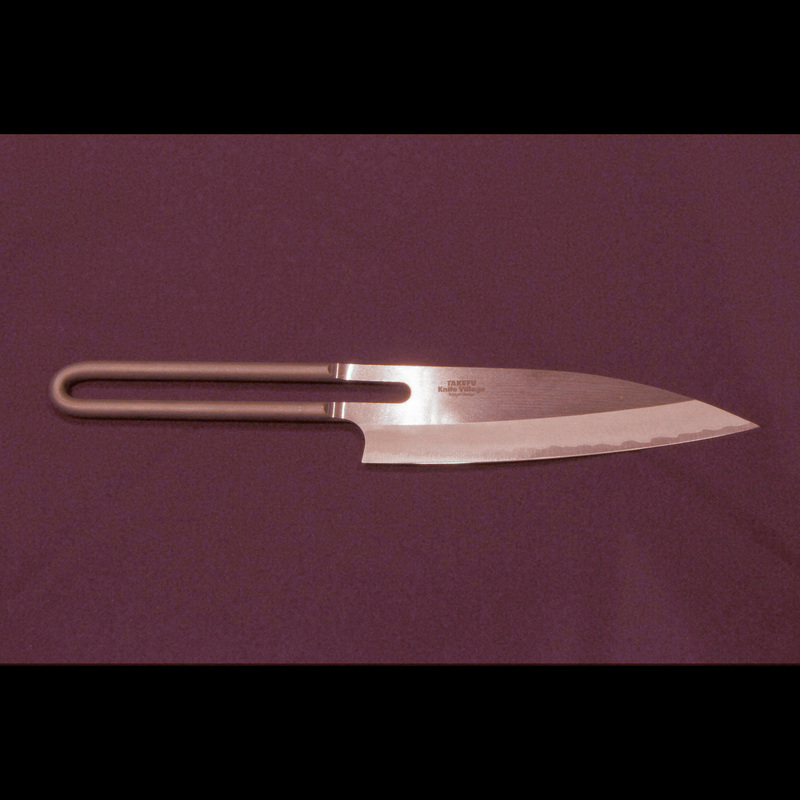 The blade needs to be thick(5mm-9mm), heavy and hard to be broken since cutting bones puts the knife a lot of pressure. Shiro-kami series is pure Hagane steels. 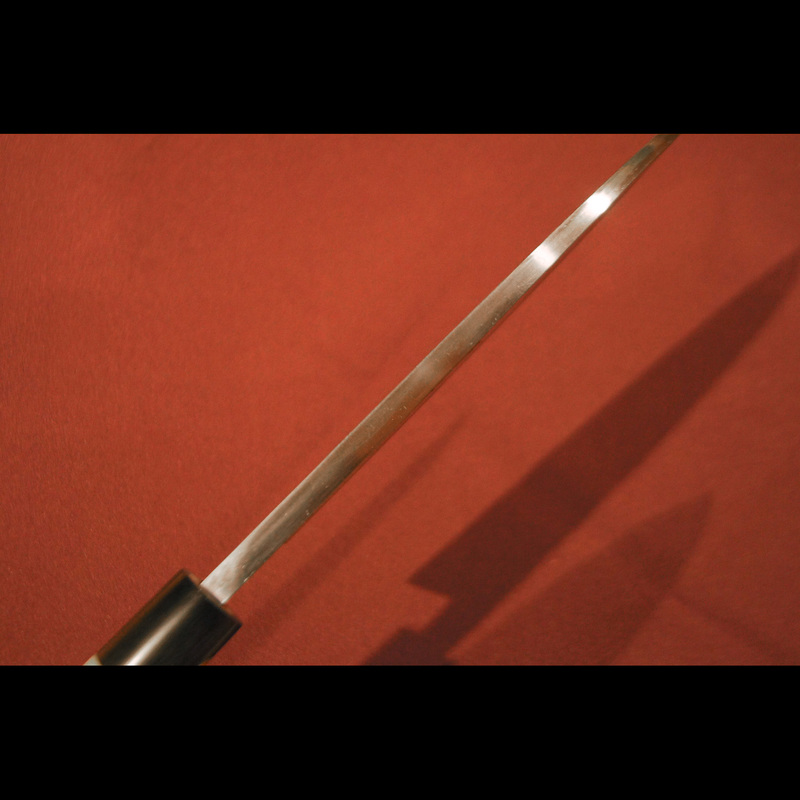 These Shiro-kami series are one of the most similar materials to that of a Japanese sword. 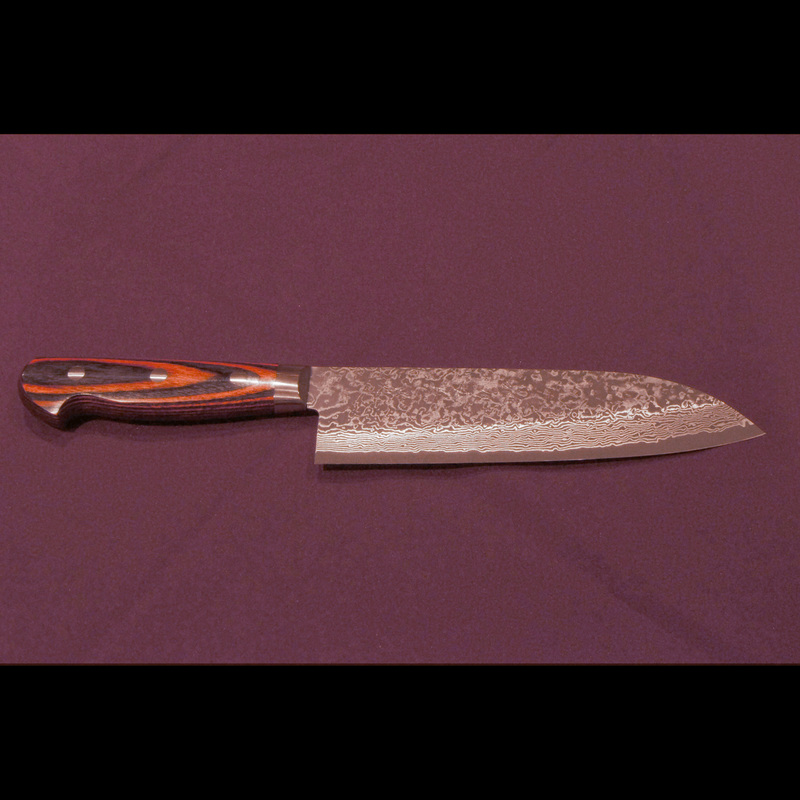 This type of knife contains a lot of carbon, so it gets rusty easily and fast. Also, it needs constant maintenance and care. HRC61~63. 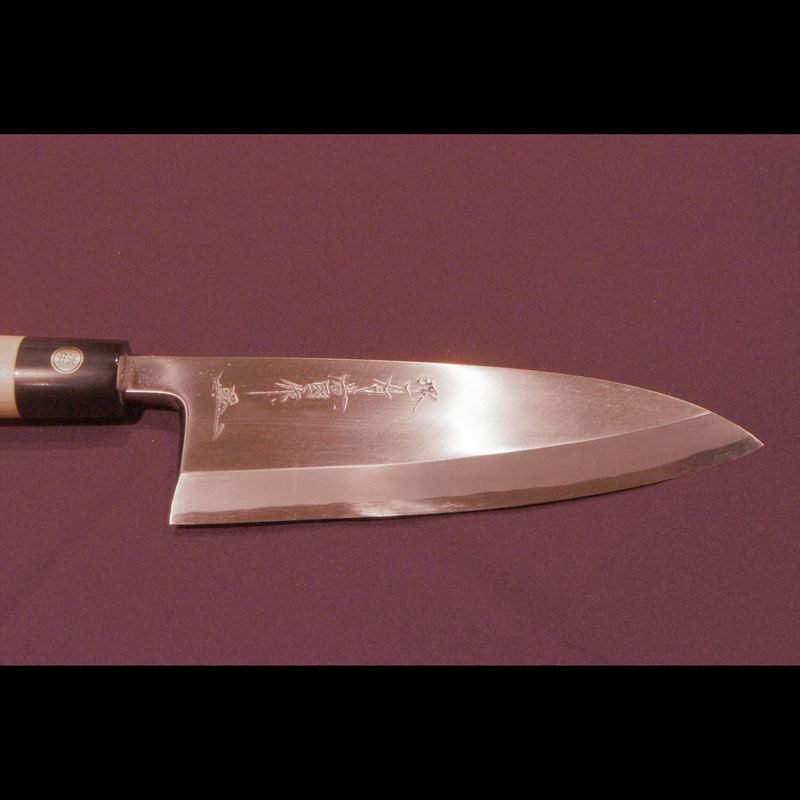 Shiro-kami 1st has most carbon in knives; therefore, it is hardest in Shiro-kami series. 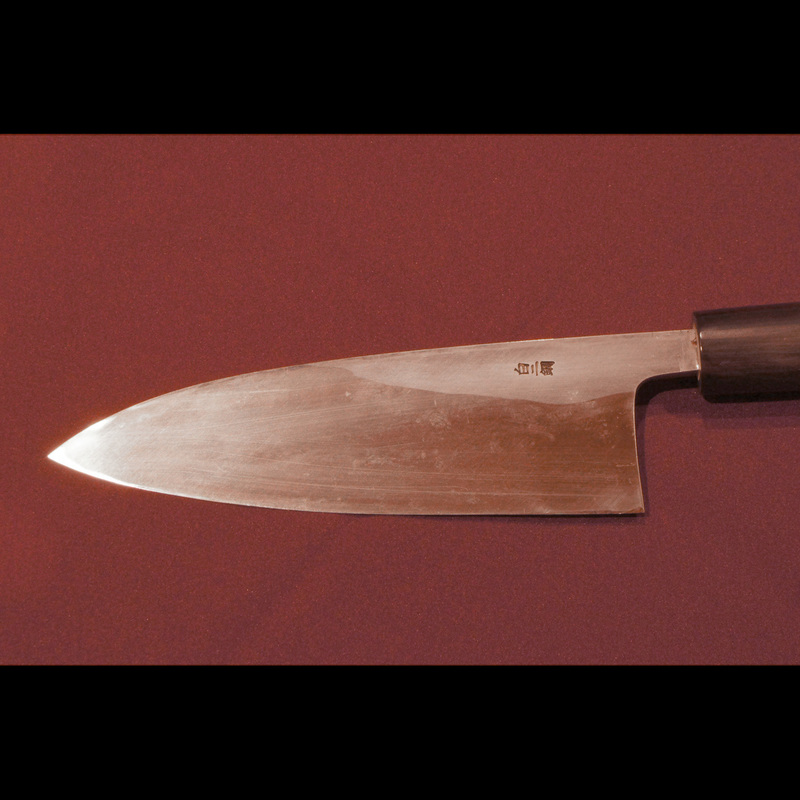 However, the knife loses its toughness and sharpness when not taken care properly. 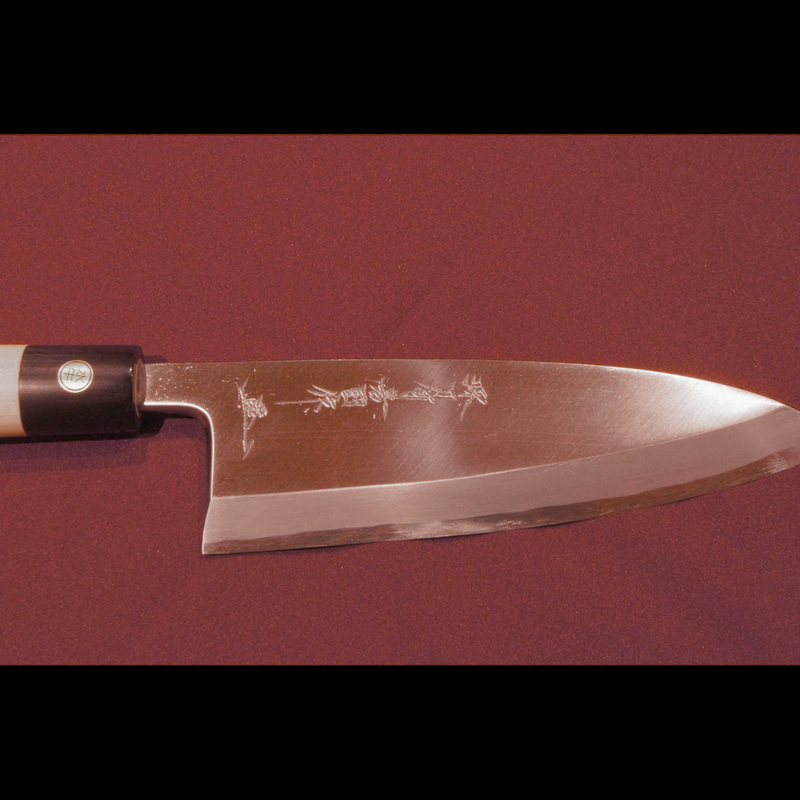 It is challenging to sharpen it to make the perfect blade shape again if you are not a trained whetter or chef. You must not cut bones, frozen foods because the blade might get chipped. 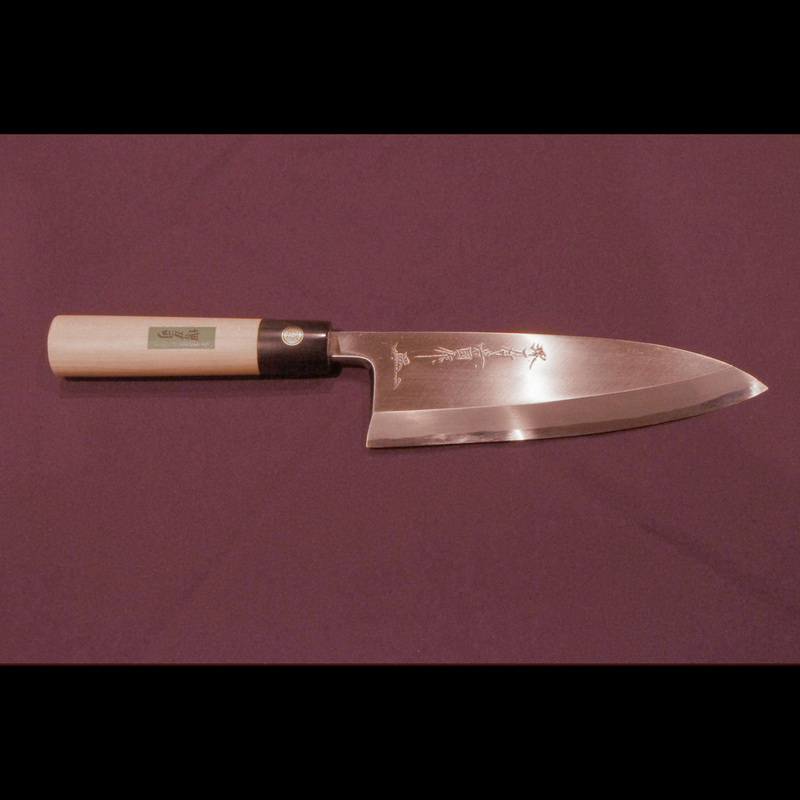 This knife is for professional chefs who know how to handle and maintain it. Shiro-kami 2nd has lower carbon than the 1st. 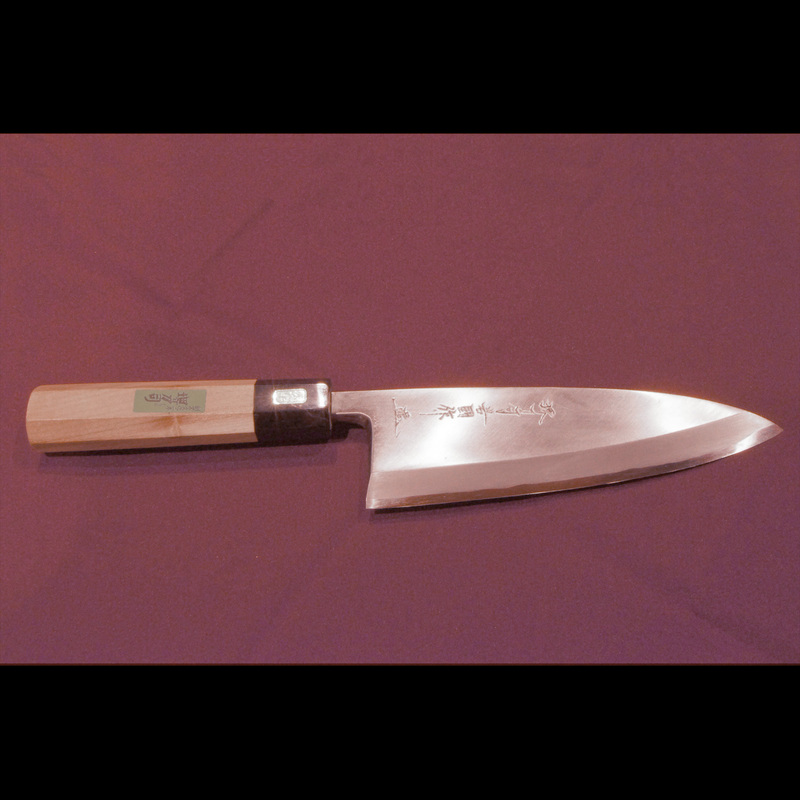 It is one of the favorite materials for making cooker knives because it is easy to handle and keep its sharpness. Also, the price is reasonable. One disadvantage is easy to get rusty but compared to the 1st, you can whet it by yourself. 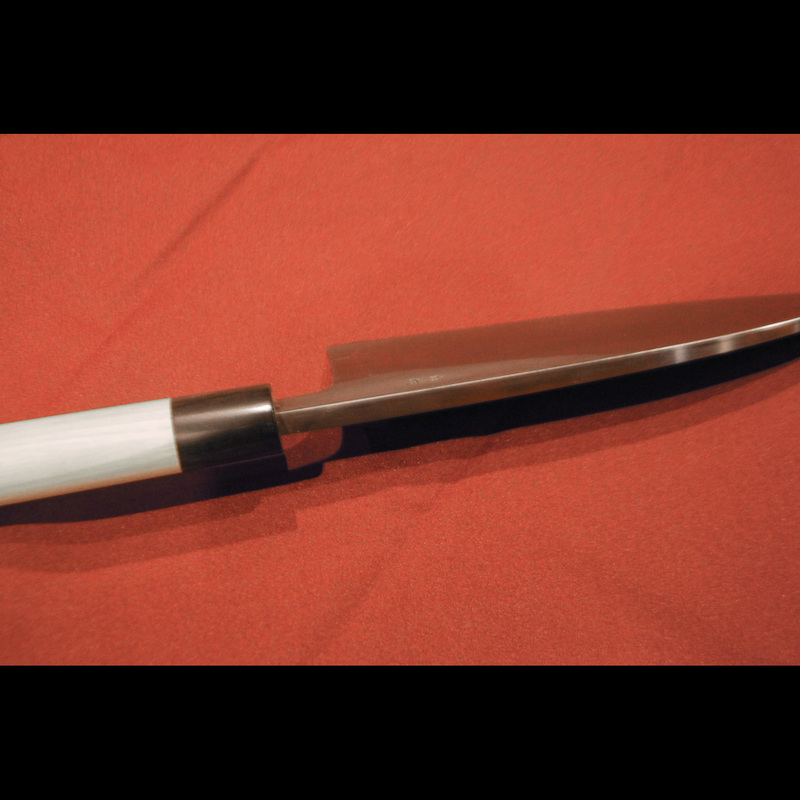 We recommend this type of knife if you want to use it in your kitchen. 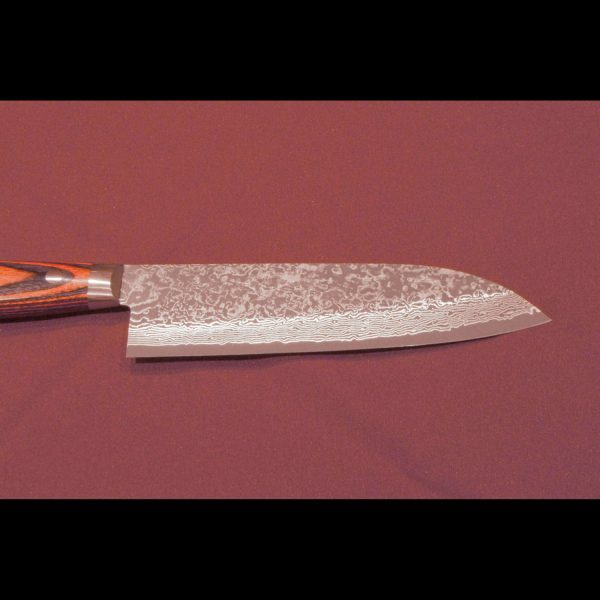 Made in Japan Free Shipping Worldwide Knife Model:Echizen VG10 series SANTOKU cooker knife(175mm,stainless) Blade Material: VG10(stainless) Blade Grind and Edge Shape: Double Edge *This is a hand-made product and it might take 2 weeks to 2 months to restock it once it is sold out. 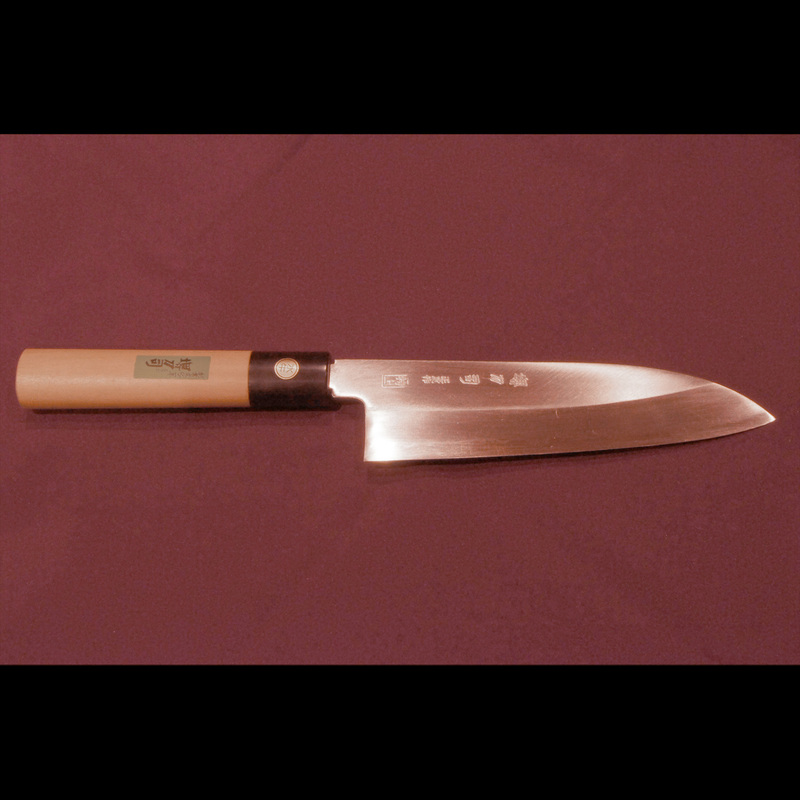 Made in Japan Free Shipping Worldwide Knife Model:Echizen VG5 series SANTOKU cooker knife(170 mm,stainless) Blade Material: VG5(stainless) Blade Grind and Edge Shape: Double Edge *This is a hand-made product and it might take 2 weeks to 2 months to restock it once it is sold out. 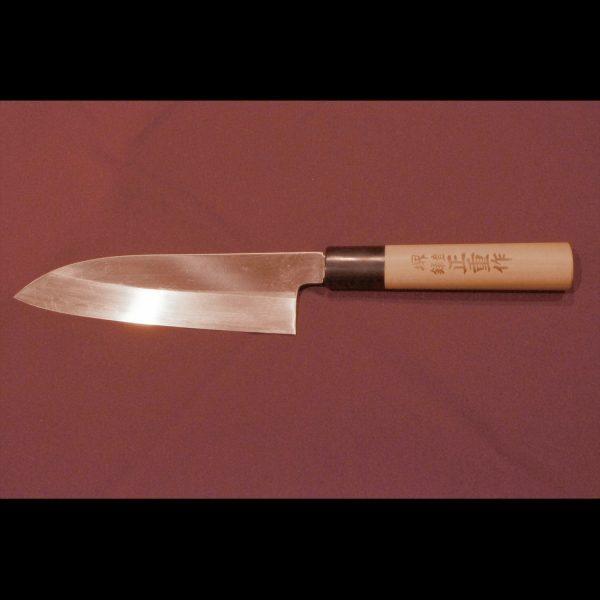 Made in Japan Free Shipping Worldwide Knife Model:Sakai Sakai Shiro-2 Masashige Tokujo Santoku Cooker Knife(180 mm) Blade Material: Shiro-2(Yasukihagane:Steel) Blade Grind and Edge Shape: Double Edge Handle Material: Magnolia/Water Buffalo(black part) *this is a hand-made product and it might take 2 weeks to 2 months to restock it once it is sold out.